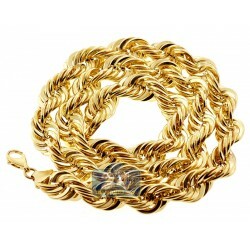 Massive and handsome, this hollow rope chain is truly impresses! 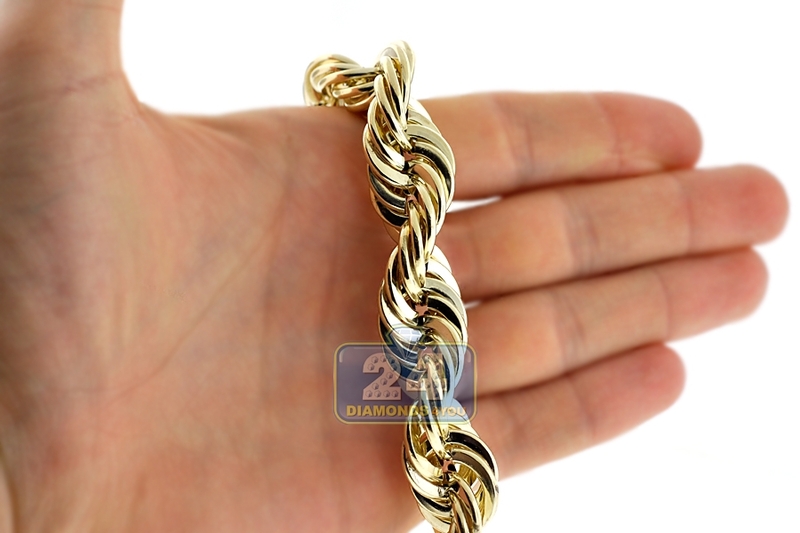 Professionally handmade of affordable 10 karat yellow gold in Italy, it features highly polished ultra shiny finish. 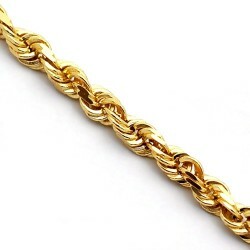 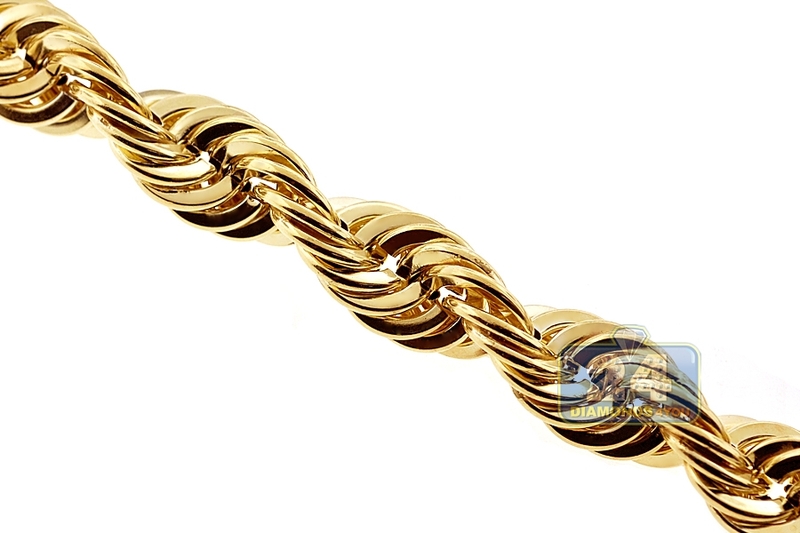 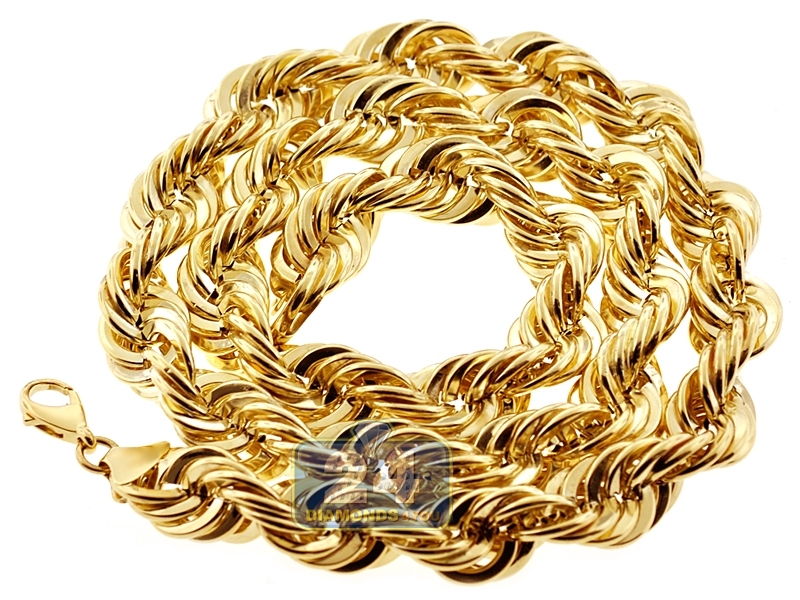 Men's gold chain measures 30 inches in length, 16 mm in width and approximately 100 grams in weight. 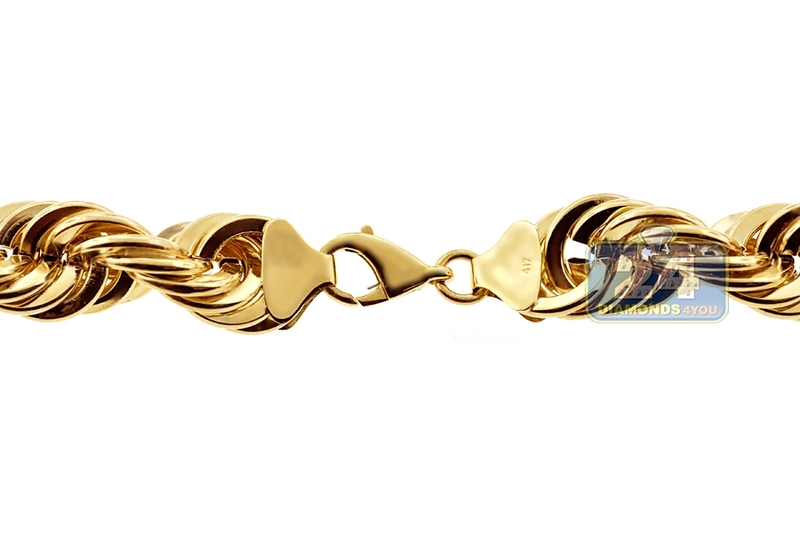 The endings are connected by a classic lobster clasp. 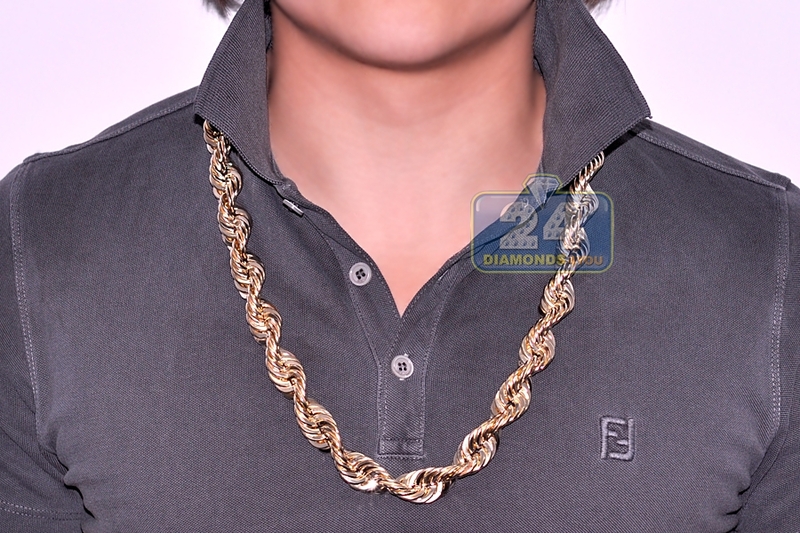 Luxury look for the real men!